Creditstar Group is strengthening its presence on the Mintos marketplace by offering short-term and personal loans granted in the Czech Republic. Loans will be listed both in euro (EUR) and Czech koruna (CZK). Creditstar is one of the leading non-bank lenders in Europe, offering unsecured consumer loans in eight countries. The Czech Republic is the third Creditstar country, alongside Poland and Spain, that will have loans on the Mintos marketplace. To date, Creditstar loans worth more than EUR 8.4 million have already been financed through the Mintos marketplace. 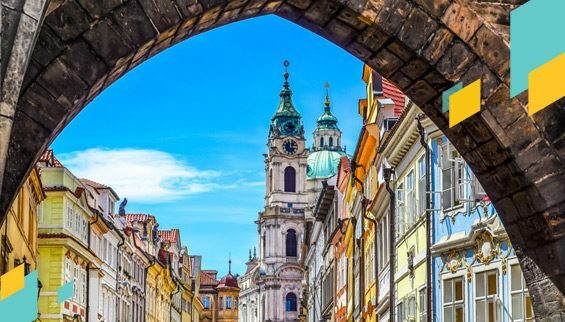 Czech Republic-issued Creditstar loans on the Mintos marketplace will range from CZK 1 000 to CZK 19 000, with a repayment period of up to three months. The average net annual return to investors will reach 12%. Creditstar will offer a buyback guarantee for loans that are delinquent for more than 60 days. The obligations of Creditstar Czech will be guaranteed by Creditstar Group. To retain its skin in the game, Creditstar will keep at least 5% of each loan on the Mintos marketplace on its balance sheet. The company puts a strong emphasis on responsible lending policies and individual customer service. The typical Creditstar client is an active, young male, 26-35 years old, living in a small town. Creditstar has a strict credit policy – only around 30% of applications are accepted. Debt collection companies are involved in the recovery of non-performing loans. The company is headquartered in Estonia, where Creditstar is a market leader with a 40% market share. Creditstar has established subsidiaries and provides services in Estonia, Lithuania, Poland, the Czech Republic, Finland, Sweden, Spain, and the United Kingdom. The total number of active customers throughout the Creditstar Group currently exceeds 272 000. The aggregate loan portfolio of Creditstar Group was EUR 52 million as of June 2017. The company has EUR 13.1 million in equity and EUR 58.8 million in assets. Creditstar has been profitable each year since its founding in 2006. Last year, it generated EUR 1.6 million in net profits. At the beginning of the year, Creditstar Group was also selected as one of 10 Ruban d’Honneur recipients for the ELITE Award for Growth Strategy of the Year in the 2016/17 European Business Awards. Creditstar was one of only 110 finalists announced; over 33 000 businesses participated in the competition. The panel of independent judges praised Creditstar for its strong growth and core values of innovation, ethics, and success. Use this opportunity to invest in Creditstar loans!